The bestselling game in Japan this past week was an American-made game, with Treyarch's Call of Duty: Black Ops nabbing the first place spot on the country's sales charts. Just how well did Black Ops do? 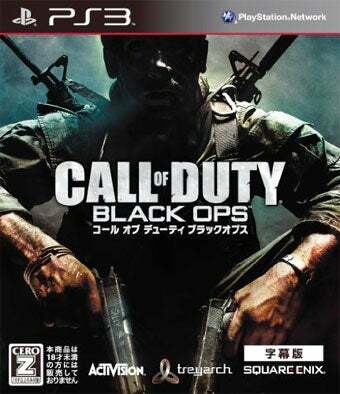 The PlayStation 3 version came out on top, finding 129,000 Black Ops fans in Japan. The Xbox 360 version managed to bring in another 30,000. Not as impressive as the 5.6 million copies Activision sold on day one in North America, but surely pleasing to Bobby Kotick and Square Enix nonetheless. Last week's Japanese sales champ, the latest Tactics Ogre, had to settle for fifth place this week amid competition from Nintendo and Call of Duty. To see how Flingsmash for the Wii or The Sims 3 for PS3 fare this week in Japan, read on for Media Create's numbers. Bonus challenge! Find the Kinect game!